No, I don’t mean the dog, I mean when you group with people to do content that you may not know. In today’s article, I’m going to talk about the expectations that people have when you enter a pug group and whether or not they are fair to ask such a thing. Now, often, there aren’t always people around from my guild to join a raid with me. Other times, I just want to do the daily group finder operation. This means that I can wait in queue for a very long time, or join another group. When I am looking for a group (Pun not intended) you always see various things. Either someone just asking for the necessary roles to complete the op, some ask for tactics and some ask for Achievements. Now, I don’t mind having to know the tactics for a raid. In fact, raids go a lot smother when people know what they are doing. This is fine. I am also ok with people not asking. Sometimes if I am in a good mood, I don’t mind people not knowing what they are doing as often the Raid leader informs them of the tactics before each boss. However, it annoys me a lot when people ask for the achievement. Why does that matter? 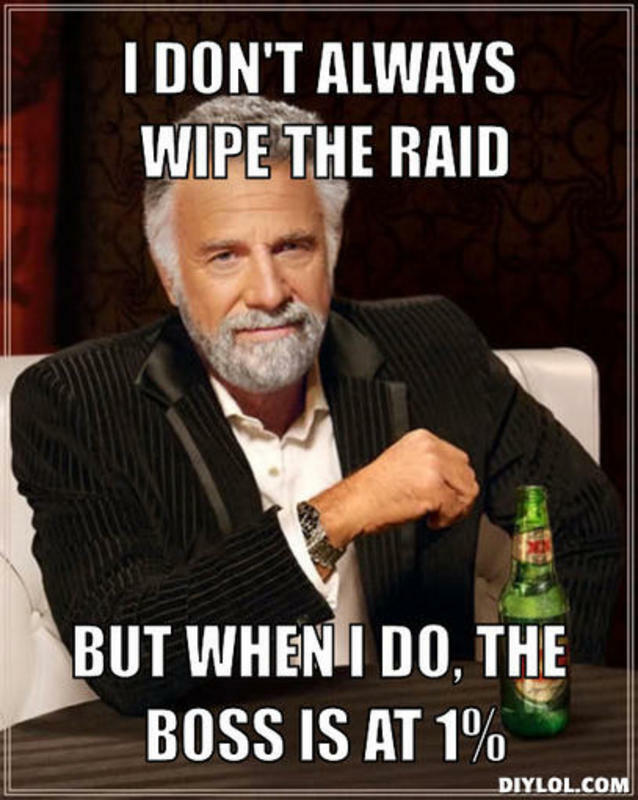 I know that some people want to get the raid done quickly, but surely knowing the tactics is enough. I tried to join an operation the other week. They asked for the achievement and I said I did not have it, as I had not killed the last boss on that op. This is because when the operation (DP HM) was new, we had not had time to down the last boss. However, since I did not have the achievement, they said I obviously did not know what I was doing. This annoys me. Just because someone does not have an achievement for a boss, people won’t let them join a group. Why should the achievement matter if people know what they are doing? I understand if this was a nightmare raid, but I just found it really pathetic. Now, I don’t know if any of you have had this happen to you, but it has become increasingly common on my server. I think it’s fair to expect people to know what they are doing, but if you are that obnoxious, that you need everyone to have every achievement then that is very sad. I have been in some of these groups and more often than not, they are the ones that wipe. I know this was a bit of a random thing to write about, but it just really annoyed me. I am also curious to know if this is goes on at other servers, or if it is only happening on my server. There are some ways that you can fix this issue. Maybe when you lead a raid, think of other ways to determine whether a player can handle an Operation besides asking for peoples achievements. Above all, try to be respectful to those who don’t have them.